The basic concept of a trust is often mystified by the attorneys and those trying to sell them to a client. I want to demystify it for you. Let’s go through the basics, just so we are all on the same page. A trust doesn’t have to be a long legal document. Intentionally or unintentionally, people make trusts almost every day. A trust requires three parties, or maybe better said, three roles. People may act in one or more of these roles, just as an actor could perform more than one role in a play. The person that sets up the trust and puts property into the trust is called the “grantor,” “settlor,” or “trustor.” Those are three names for the same role. We often refer to a trust as being “settled” rather than created. The “trustee” is the person who controls the property the settlor has placed into the trust. The “beneficiary” is the person that gets the benefit of the property in the trust. These roles can be played by one to three actors. In the standard living revocable trust used for estate planning, you will play all three roles. Technically, title to property in the trust is held in the name of the trustee. But the trustee doesn’t own the property; it is only being held for the beneficiary. The trustee has a “fiduciary” duty to hold the property for the beneficiaries and execute the terms of the trust on behalf of the beneficiaries. Fiduciary duty is a very well defined responsibility under the law. The trustee can be held personally liable if the fiduciary duty is not fulfilled to the letter of the law. It is such a high responsibility that a person should be very wary about being named a trustee, and yet, you act as a trustee all the time. A trust does not have to be established by a written document. When you leave your luggage in the airport and ask the person next to you to watch it while you go to the bathroom, you have established a trust. You are the grantor, the person you asked to watch the luggage is the trustee, and you are the beneficiary. When you have your car parked by the valet, basically a trust is being established. The more formal trusts are written down. The legal concept of a written trust is very old, dating back thousands of years. Today, we have written lots of different types of trusts into the laws. The basic concept of the trust never changes and the roles are always the same, but the trusts are designed to do different things. There are two basic types of trusts–revocable and irrevocable. The grantor will either reserve the right to revoke the trust or will make the trust irrevocable. Those words will be in the written text (terms) of the trust. Each type of trust has advantages and disadvantages when you look at it in terms of asset protection, tax, and estate planning. The laws simply say that if a trust is designed a certain way (has the correct terms), then there will be a specific tax treatment of the trust, or the trust will achieve a certain asset protection factor, or will affect property held in the trust in a specific way after the grantor dies. Revoking the trust means that the grantor can decide to update or delete terms within the trust, as well as replace, change, or terminate the trust altogether. But the grantor has no such control if it is an irrevocable trust. Properties held in an irrevocable trust must be handled or disposed of according to the terms of the trust, whether or not the grantor decides something better could be done with them. Usually, a revocable trust is ignored for tax and asset protection purposes. Because the grantor can nullify a revocable trust at any time, it is generally considered an alias for the grantor. It is generally not required to file its own tax return. On the other hand, an irrevocable trust usually has its own tax ID and acts as its own taxing entity. Since the grantor has irrevocably given up any interest in the property placed in the trust, the grantor is giving a gift to the beneficiary(ies). If you are willing to permanently give up ownership of the property, give control to the trustee, and give up any personal beneficial interest in the property, the law says it isn’t your property any more. Since the property is out of the grantor’s ownership and control, it is usually protected from the grantor’s liabilities. Note that in order to get the desired asset protection, the grantor had to give up the property and not receive any benefit from the property. If the grantor can get a benefit from the irrevocable trust, then the asset protection rules say the trust is ineffective in protecting the property from the grantor’s creditors. However, in the last decade or so a number (about 8) states have created “asset protection trusts” which say that the grantor can set up the trust and be the beneficiary of the trust, but still have the property be outside the reach of the grantor’s creditors. The two most popular irrevocable trusts are the Irrevocable Life Insurance Trust (ILIT), which allows life insurance policies to be held outside of the insured’s estate for estate tax purposes, and the children’s trust under Section 2503 of the IRS Code. There are lots of types of revocable trusts and irrevocable trusts. If you follow a specific set of rules in the terms of the trust, then you get a certain tax or asset protection result. 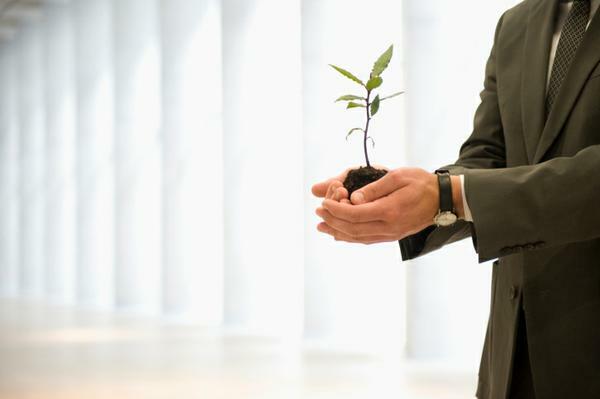 The most common trust today is undoubtedly the living revocable trust. It is used in estate planning for families in order to avoid probate. It acts as a will substitute, but unlike a will which requires a probate of all of the property passing through the will, the property held in the trust isn’t probated when the grantor dies and the property passes to the “heirs” (beneficiaries). The living revocable trust is a really neat tool for families. It is the basic topic of my award winning book, Protecting Your Financial Future. The living revocable trust is known by lots of unique names, such as the Loving Trust, A B Trust, Family Trust, and many other names. Lawyers will give their version of a living revocable trust a special name, so they can promote their unique trust, but in reality, it is always just a living revocable trust. The next most popular version of a revocable trust is a trust called the “land trust.” Only about eight states have specific land trust laws. In all of the other states a “land trust” will be treated just like a stripped-down version of a standard living revocable trust. By far the most popular trust in the United States today is the trust established under Section 408 of the IRS Code. 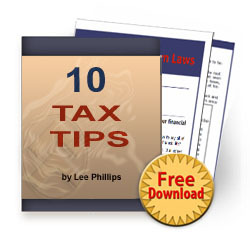 It has special terms which allow property in the trust to grow outside of the IRS’s reach. 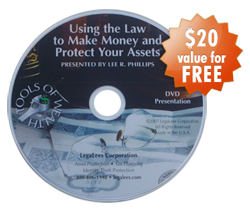 It is a very powerful tax tool and asset protection tool. It totally protects the trust property from bankruptcy of the grantor and in most states from any of the grantor’s creditors. You probably have one of these trusts, and you call it an IRA. Trusts play a critical part in your everyday life. The more you know about them, the better your financial future will be. My understanding is there are types of irrevocable trusts that are still considered “grantor” trusts for tax purposes and generally if the income is for the grantor and the property is not available to them the asset protection is effective. Trusts and taxes sure get complicated. There are certain kinds of irrevocable trust which are considered grantor trusts for tax purposes but also provide some asset protection. They are called Asset Protection Trusts and are available in a handful of states. The problem with them is that in most states you have to have a professional trustee who resides in that state to be a co-trustee with you. So you end up paying the trustee fee, which can be as much if not more than the taxes. 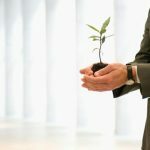 Utah does have pretty good laws for an Asset Protection Trust, but it requires that the co-trustee be a resident of Utah (it doesn’t have to be a professional trustee). Great easy to understand helpful videos. Do you know where I can get free a single / 2 page “revocable trust” that I can create ONLY to open a non interest bearing checking account in the Trust’s name? I simply want a place to deposit and segregate and saveany extra money I can scrape up, with a Debit ATM card in the Trust’s name (without my own name appearing on the card). I assume I can be the Grantor, the Trustee, and the Beneficiary (all 3). An free online fill in the blank, or one I can order and fill in blanks would be sufficient. I would get an EIN tax number for the trust. Thanks for your generous knowledge and willingness to share with the “unwashed masses”. I don’t know of any free revocable trusts, but you won’t need to get an EIN number for it. If you are the grantor, beneficiary, and trustee with all income assigned out each year, the IRS doesn’t even want to know that your trust exist.